As with all Van Os wheelchairs, the all-terrain G-Explorer model is very high quality and is equipped for use on rough terrain where other wheelchairs might not cope. The proven lightweight aluminium frame is strong and will suit users up to 17.5 stone or 110 KG in weight. 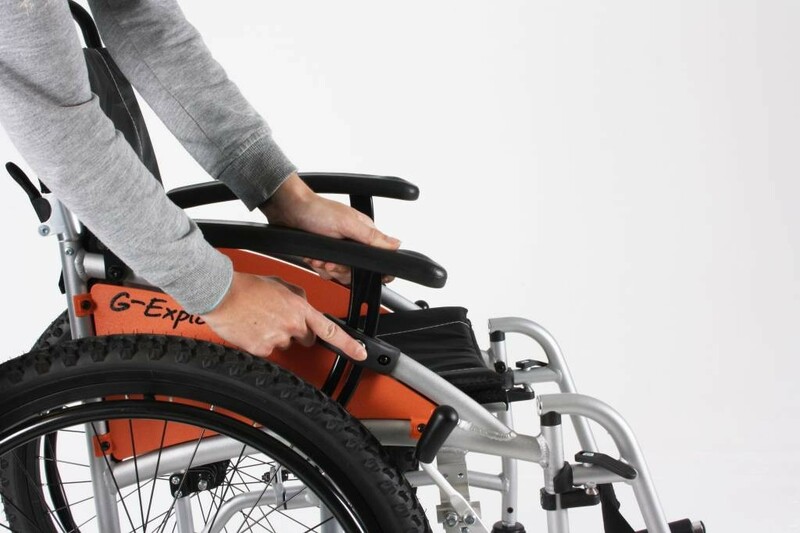 Fitted with MTB or mountain bike tyres the G-Explorer allows the user to propel themselves over terrain that a normal wheelchair would find problematic. Its nobly tyres find grip in even the wettest of muddy conditions allowing you to propel yourself on tracks and pathways with relative ease. 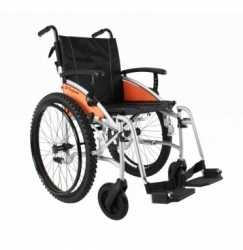 When not out in the wilds this wheelchair handles like any other lightweight self-propelled wheelchair and offers a host of features to ensure that you are both comfortable and secure. These features include adjustable arm rests, flip up and swing out foot rests, calf straps, seat skirts to prevent clothing touching the wheels. 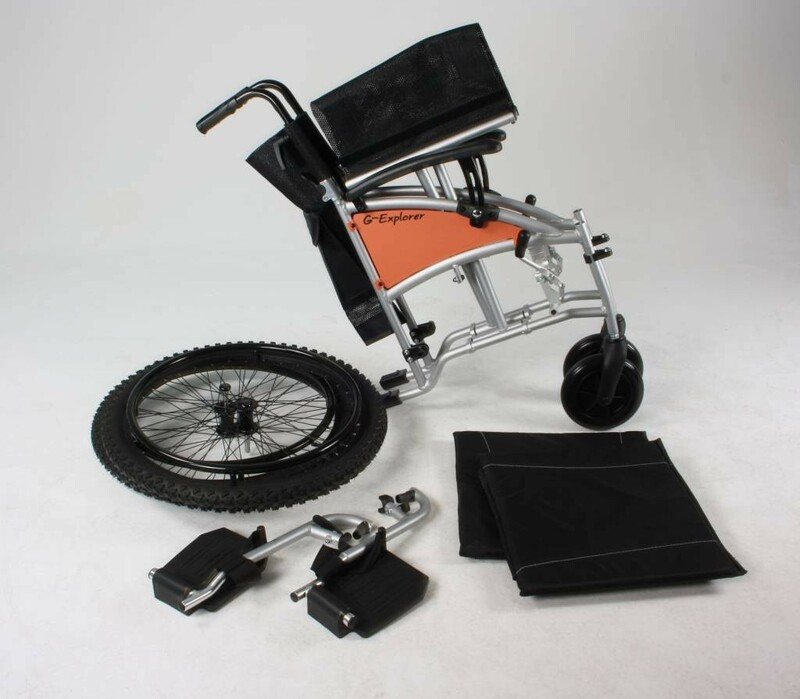 When it comes to transporting or storing the wheelchair, it disassembles with ease to allow it all to go in to a wheelchair bag and folds down neatly to allow it to stow away. Step tubes are also provided at the rear of the chair to assist the attendant when it comes to mounting a kerb or step. Available in 3 seat widths, 16" 18" and 20", the Excel G-Explorer wheelchair is an impressive all terrain wheelchair that will provide many years of reliable service with the minimum of maintenance. Wheelchair has arrived and looks very good. First outing went well. We are very excited to be able to go and explore.